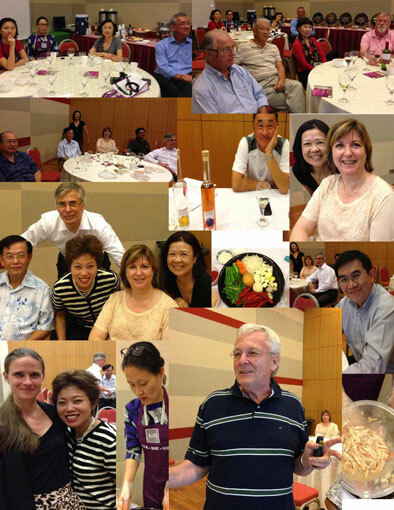 The Rotary Club of Queenstown held its 2nd Club Assembly at the Chinese Swimming Club on Monday 20 May 2013. It was a good summary by President To Chee Kan on the year's activities. President elect Hans Jaeger then spoke of his major project and how each and everyone contributed to the success of this project. The upcoming 40th Installation for the Rotary Club of Queenstown will be held on Saturday 22 June 2013 at The Tanglin Club, Churchill Room at 7pm. All members are expected to attend. Last but not least, we had a lovely visit by PP Lothar and Marian Till all the way from Switzerland. Good to know they always feel RCQ is where they feel most at home.